Our ethos is simple. To create a beautiful detailed oak framed barn that reflects genuine quality throughout its design. Support this with a service that is both transparent and efficient to ensure each project represents excellent overall value enabling our clients to pass on our good name. We are an established, hard working family run business. Our oak frames have a reputation for their attention to detail and our work can be found throughout the United Kingdom. In some cases the images featured in our website are examples of our work taken from a previous company our family established and sold. This development enabled us to considerably improve our cutting facilties which in turn benefitted the quality and detail presented in our new frame designs. Every one of our oak frames is carefully installed by our team of craftsmen, their experience enables us to maintain the quality of each frame installation whilst delivering the clients project on time. 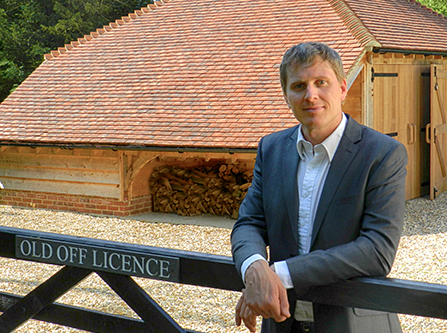 We are entirely flexible with what we are able to cut and often engage in interesting bespoke projects alongside the full range of oak framed garages that we offer. Our passion for oak is reflected within the detail of our frames, these details provide our clients with an attractive structure of thoughtful quality that stands the tests of time.